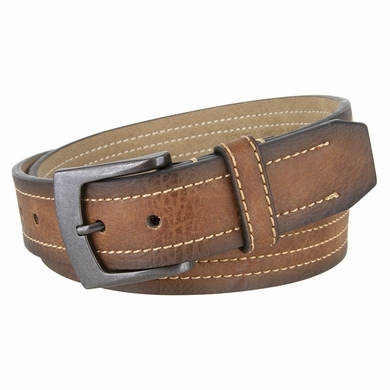 1 1/2" = 38mm Wide and with a stitched design in the belt strap. Stitched by the buckle to keep it secured. One matching leather loop. Material synthetic or vegan leather. Belt is measured from where the leather folds by the buckle to the middle hole at the tip end. Measure where you wear the belt with your pants on, in order to get the best size.